Use a square knot to tie the ends of a rope together. 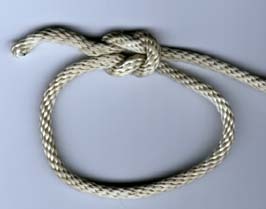 A square knot allows you to loosen the knot after it has been under tension. When improperly tied (a granny knot), it is difficult to untie.